as well as the ability to use your smartphone like a wireless remote control. including compatibility with FLAC files. Simple sound customization is also available with its built-in 13-Band EQ and Digital Time Alignment. Purchase KENWOOD Products ONLY from Authorized KENWOOD Retailers! 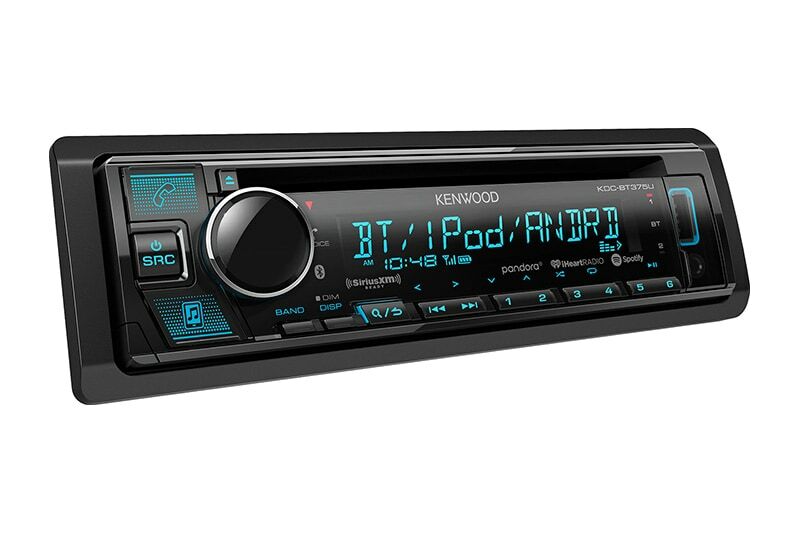 Because KENWOOD cannot guarantee that car audio product purchased from unauthorized dealers are genuine, new and/or fit for purchase, KENWOOD does NOT offer any manufacturer's limited warranty or rebates for car audio products purchased from a dealer that is not authorized by KENWOOD. 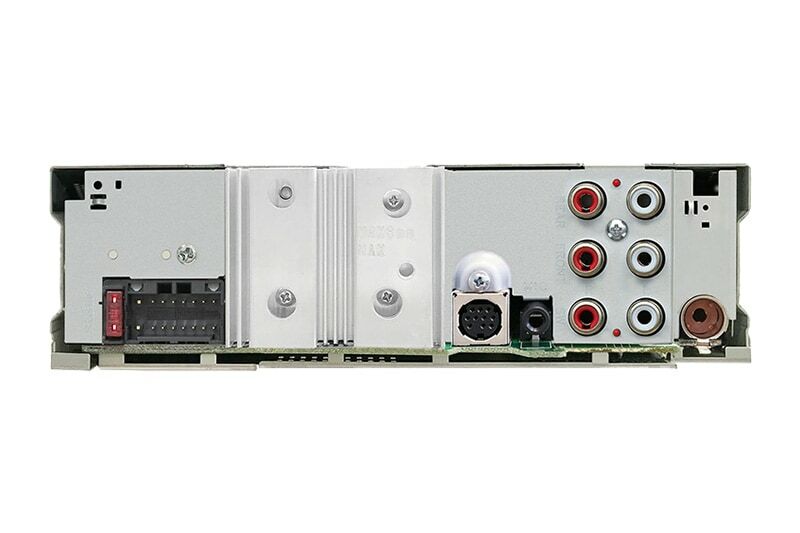 Up to 5 Bluetooth® devices can be paired to the receiver at the same time. You can enjoy audio streaming just by switching the devices with your friends or family. While you are connected through Bluetooth, with a touch of a button you can switch between two phones. A smartphone application can control most basic functions of the receiver over the Bluetooth connection of the paired phone (iPhone or Android). 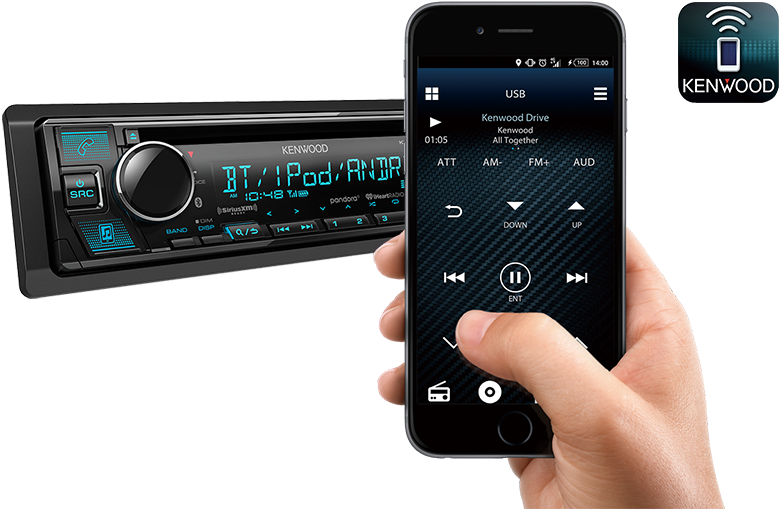 Supporting AOA2, install the KENWOOD Music Play app and connect your smartphone to the receiver via USB, and control your music directly from the receiver. Rapidly charge your compatible Android smartphone with the USB port, up to a maximum of 1.5A. Compatible with a broad range of audio file formats from high-resolution audio sources such as FLAC and WAV, to MP3, WMA and AAC. Search and select songs from your music collection through a Bluetooth connection. 13-Band equalizer and DTA gives optimal tuning enhancements for the listener. Boosts specific frequencies in the audio signal to overcome the negative impact of road noise. Bright variable color LEDs can be adjusted to match any color dash lighting. Up to 5 Bluetooth® devices can be connected to the receiver at the same time, allowing you to take turns streaming music with your friends and family. Connect your iPhone or Android device to access and control the most popular music application sources. Simply install the Spotify, Pandora, and/or iHeartAuto apps on your device, then connect iPhone (USB or Bluetooth) or Android (Bluetooth only) to enjoy music playback. 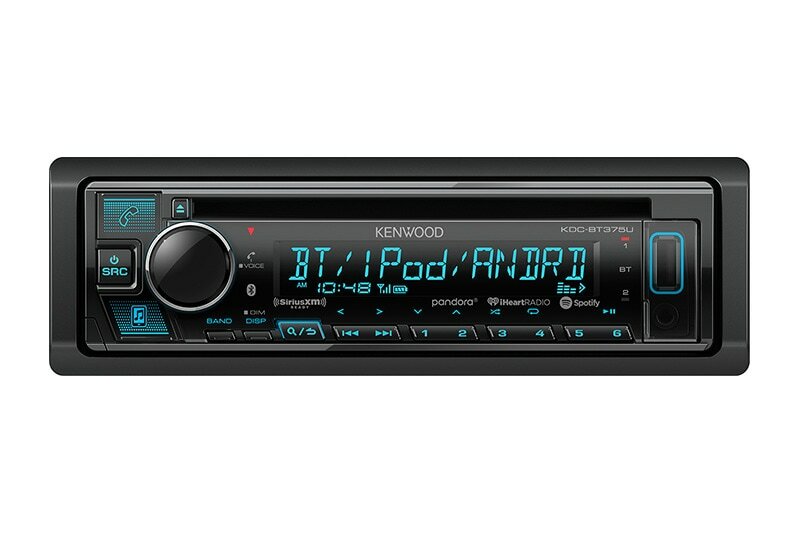 KENWOOD Music Play is the app that allows you to listen to music from your Android device (Android OS 4.1+) on your KENWOOD audio receiver when connected via USB. Easy front panel connection for your compatible USB- enabled devices. These include Mass Storage Class devices like iPods, smartphones, and USB flash drives. The USB input will allow you to charge and control the music playback of your select devices. 7-3/16" x 2-1/16" x 6-1/8"